Professor Brian Cox: "The Biggest Threat To Our Planet Is Human Stupidity"
Robin Ince (left) and Brian Cox are celebrating the 100th episode of their popular science radio show. BBC/Richard Ansett. In November 2009, we had no idea what Pluto looked like. We didn't know the Higgs boson existed. And we were just starting to realize that humans may once have interbred with Neanderthals. 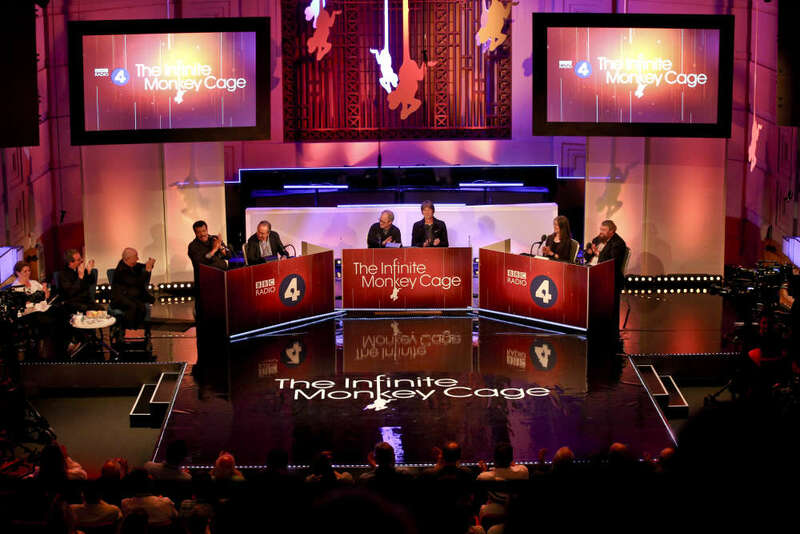 That was also the month that The Infinite Monkey Cage began, a BBC Radio 4 comedy and popular science show hosted by Professor Brian Cox and comedian Robin Ince. Now almost a decade on, the show is about to celebrate its 100th episode on Wednesday, July 11, with a host of guests lined up including Neil deGrasse Tyson and Alice Roberts. But before that milestone, we decided to catch up with Brian and Robin to get their views on the last decade of science. What are their favorite discoveries? What's the biggest threat facing our planet right now? And would they live on Mars? Find out below. How does it feel to have reached the 100th episode of The Infinite Monkey Cage? Brian Cox: It feels very different. The first episode was a small studio show, the suggestion was it was going to be called Top Geek. Robin Ince: They did try and do that, the Top Gear of science, but we were always against that idea. You did a panel show, which was going to be about the week’s news in science, you and Kevin Fong and Adam Rutherford. Brian: Yes, and that didn’t work, partly because no one could tell us apart. The idea was just three scientists with similar voices and very similar views, in other words prioritizing reality over anything else. And so they thought well, instead of that, why don’t we try with a comedian. I didn’t really know Robin. Robin: We’d met a couple of times and I guested on that show, and that led to the job that’s lasted 100 episodes! The first two series, there were things they wanted, we had sketches in the first series, and we had Matt Parker, a brilliant stand-up mathematician. But it took two series before they went, actually, you can just have a half-an-hour conversation about science, which doesn’t belittle it or mock the science itself.